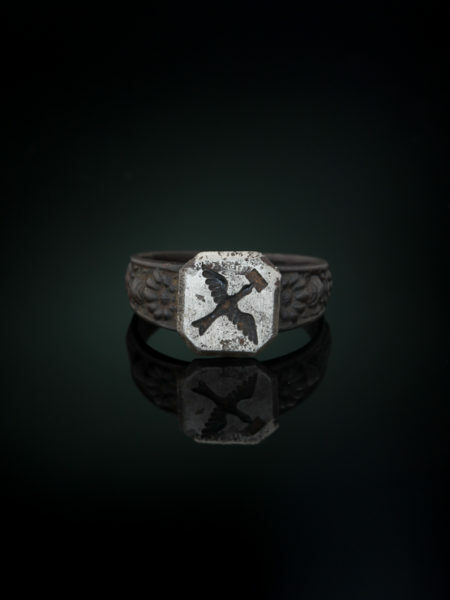 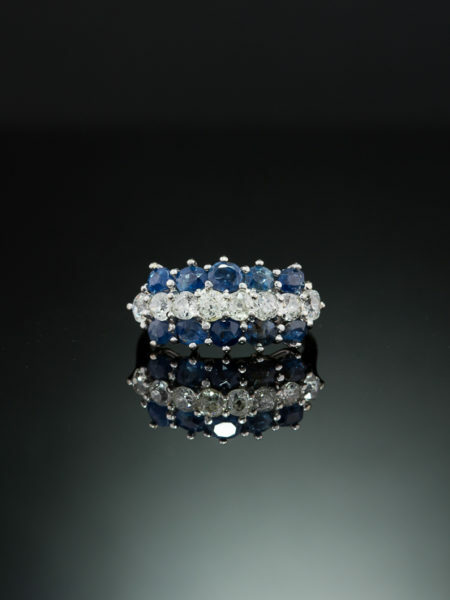 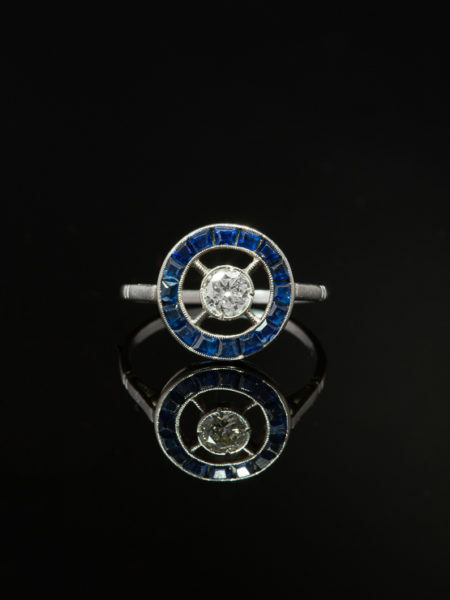 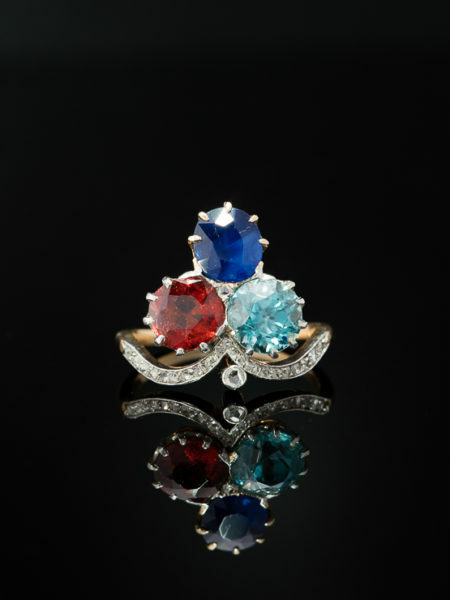 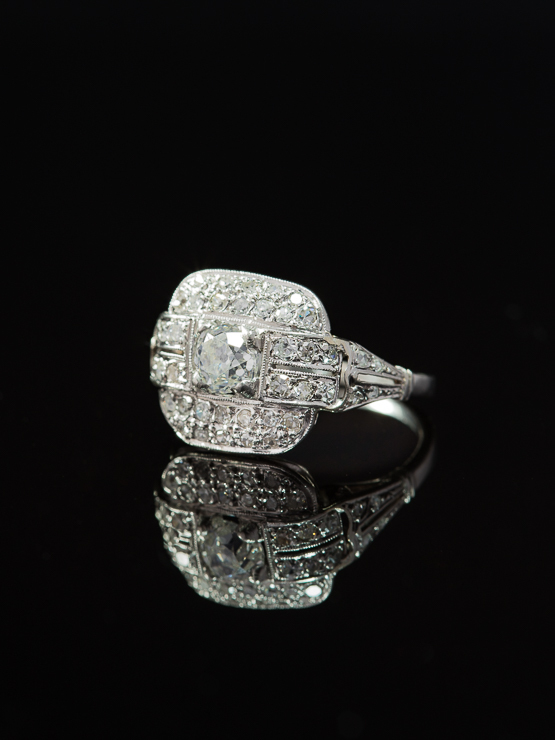 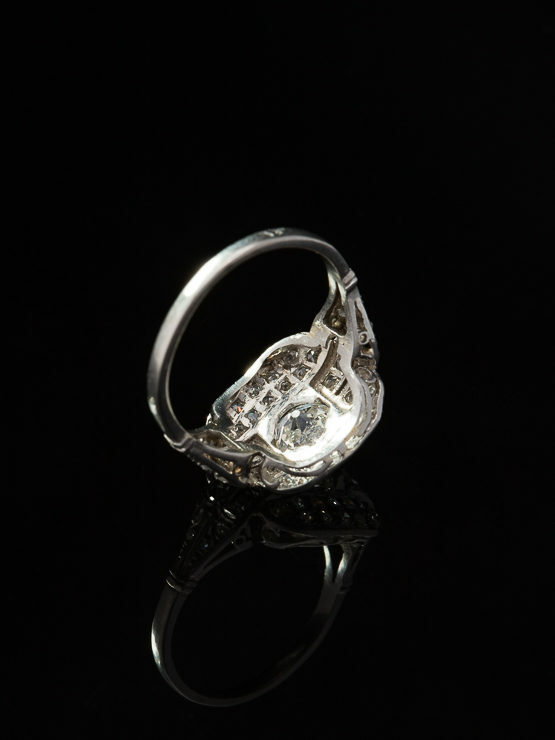 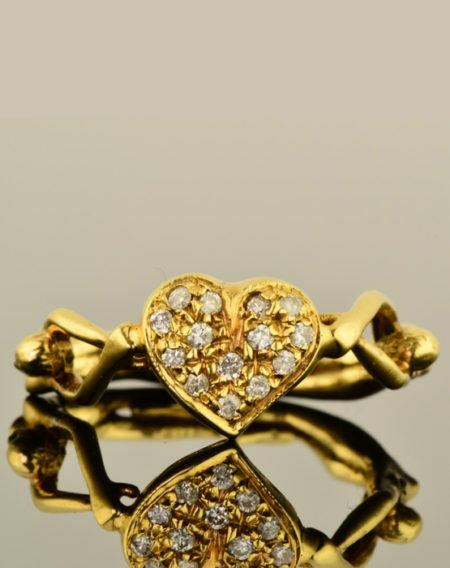 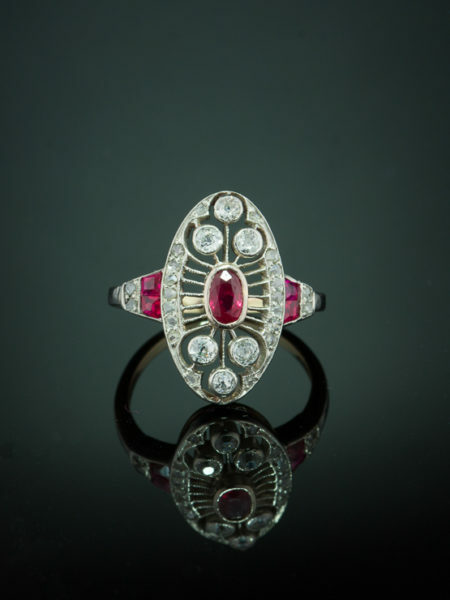 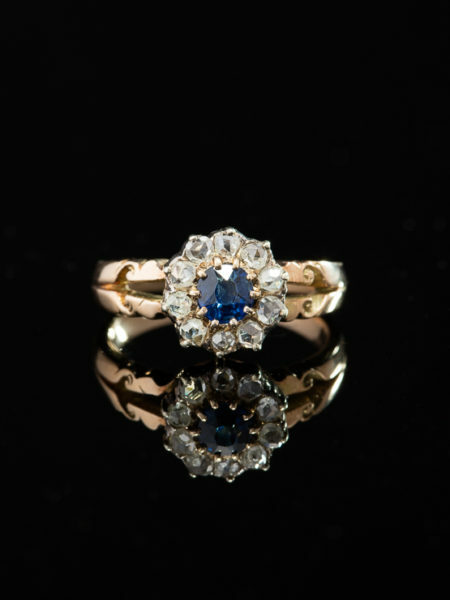 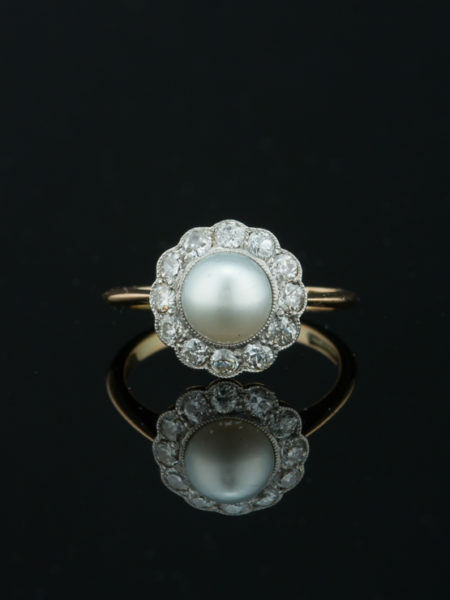 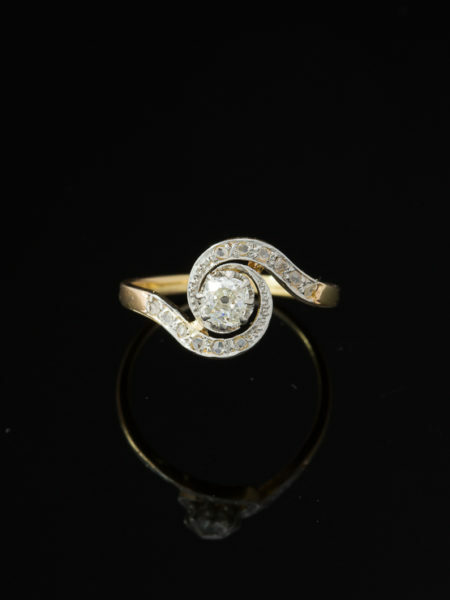 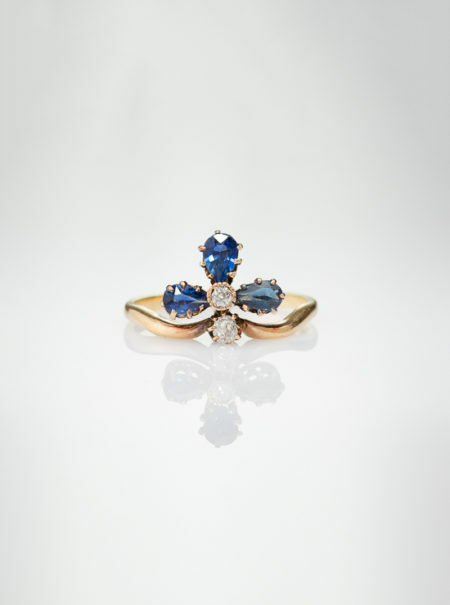 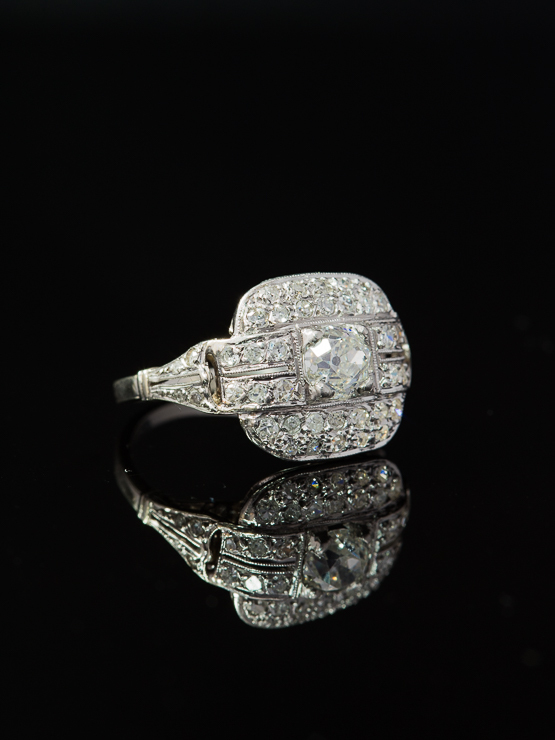 French artistry and style and glitter reign supreme with this elegant diamond ring from Art Deco era. 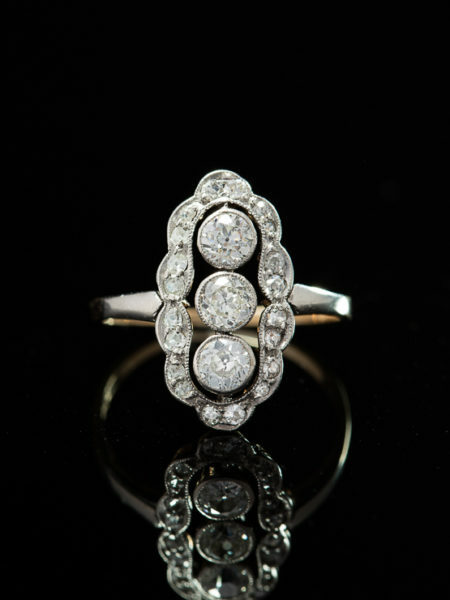 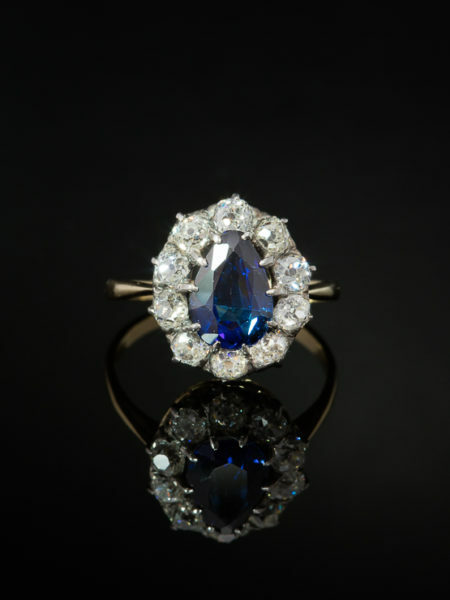 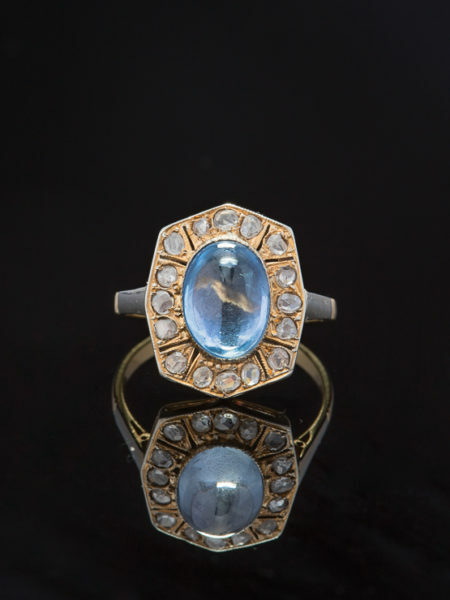 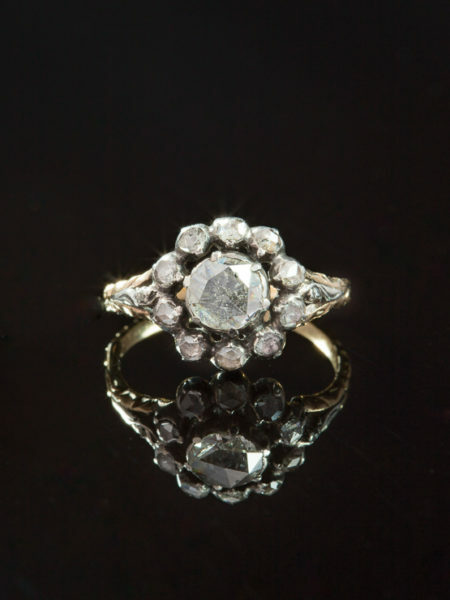 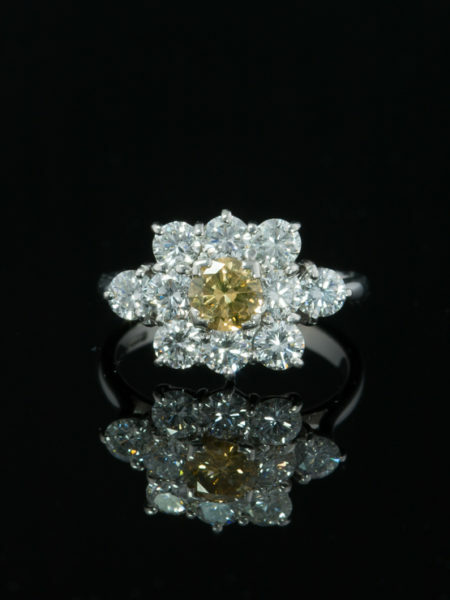 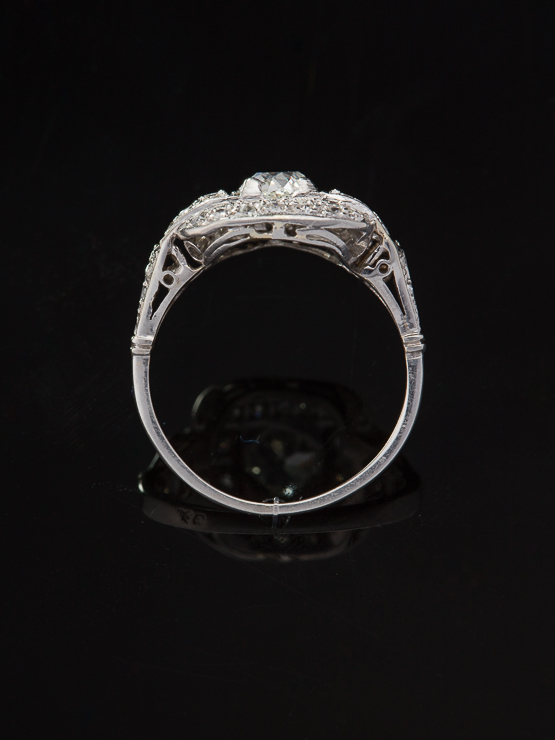 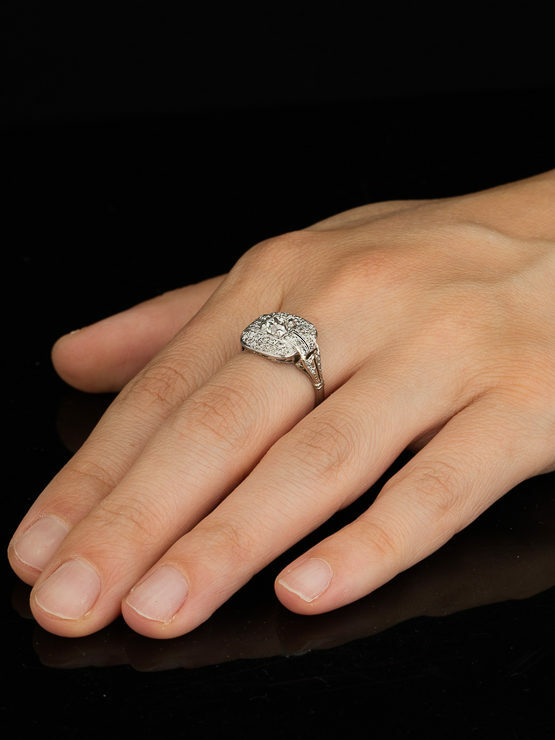 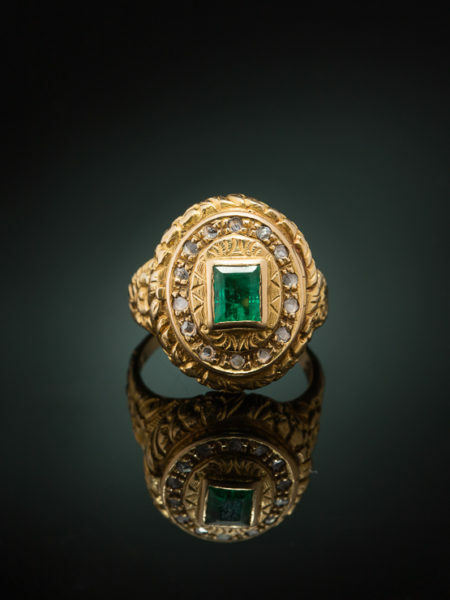 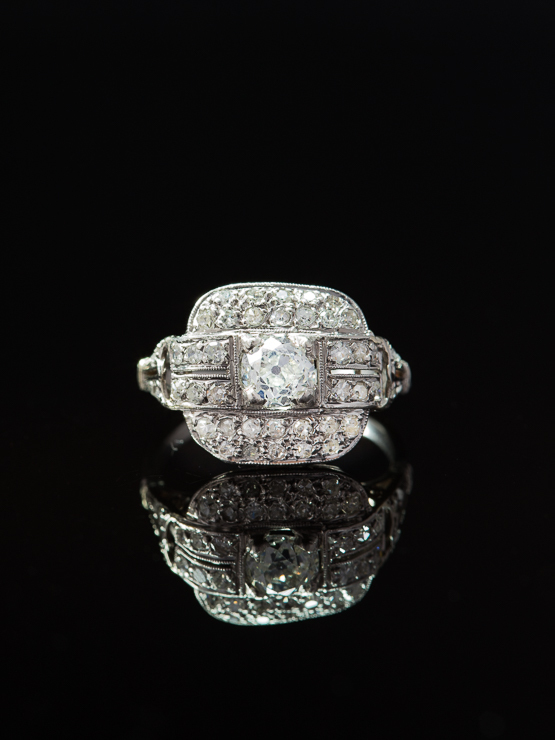 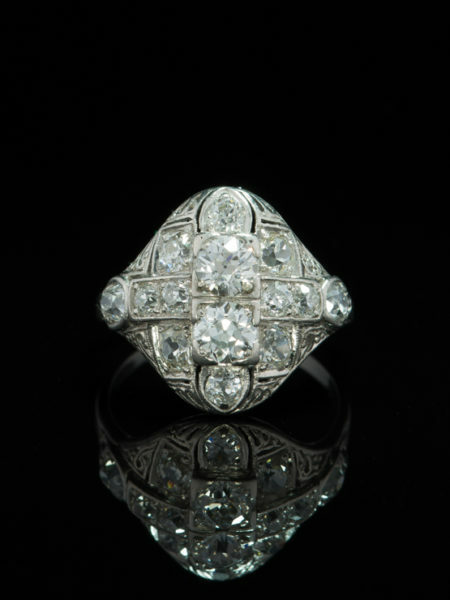 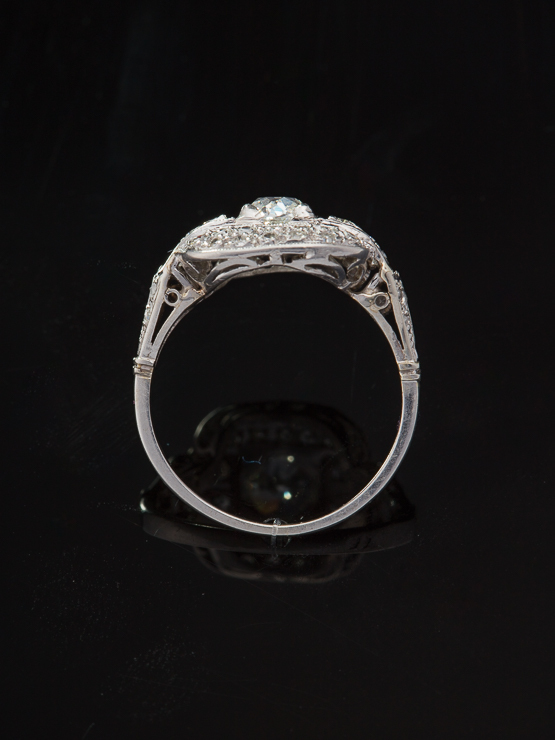 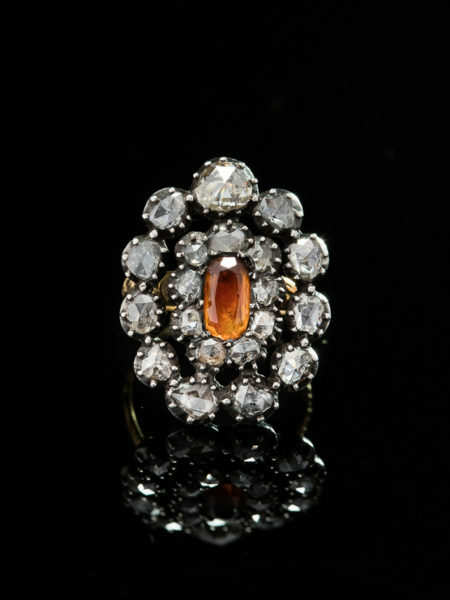 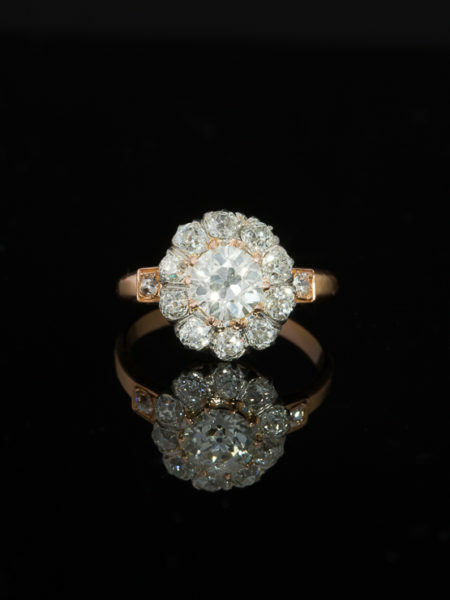 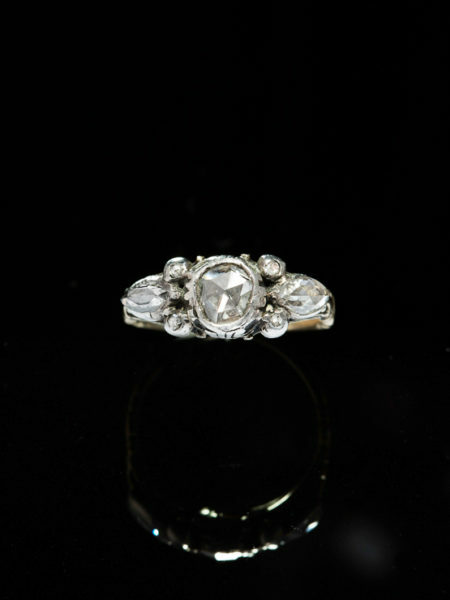 Behold a luminous elegant 2.27 Ct diamond French ring from Art Deco era. 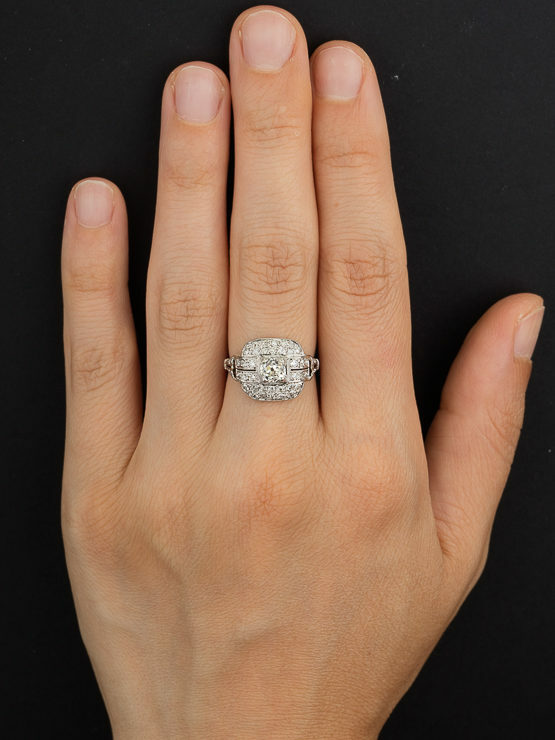 Sheer beauty in the design work, elegance of form, mille grain accents and open work styling on shoulders elevate this ring to scrumptious and divine. 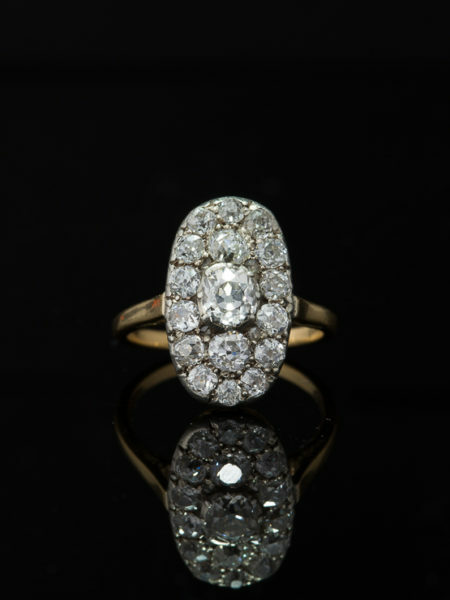 A luscious old mine cut diamond of .71 Ct lends its hand-cut distinctive personality to the whole hypnotising with pure flashes of light. 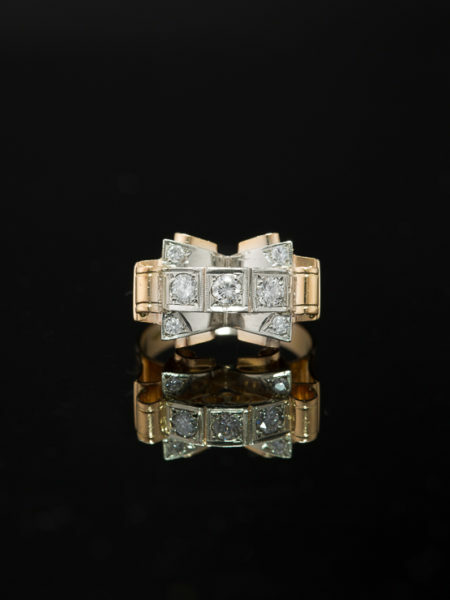 Delightful delicate details on shoulders with pierced areas for lightness and delicacy enhanced by eight rose cut diamonds totalling approx .12 Ct by spread. 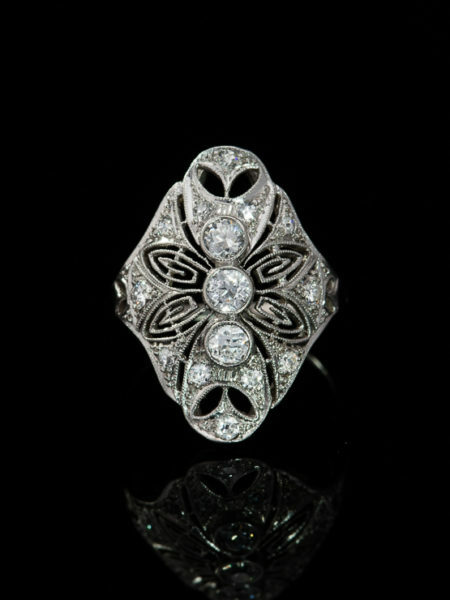 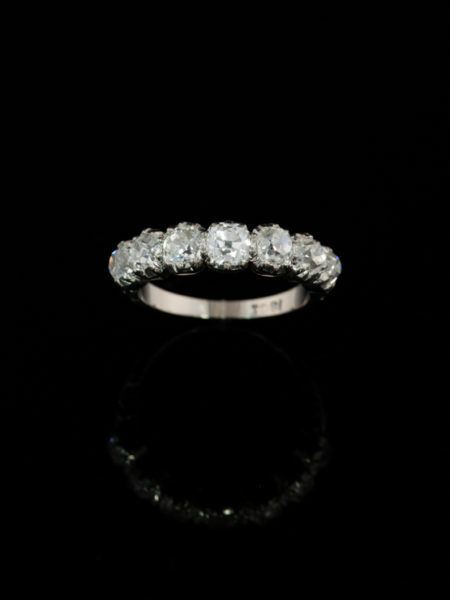 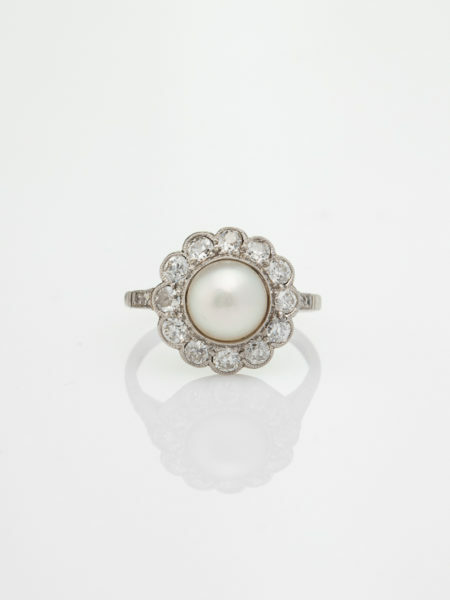 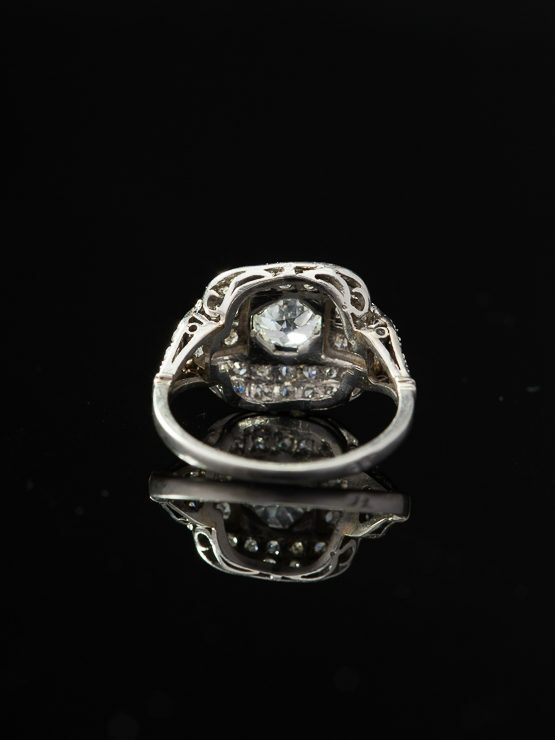 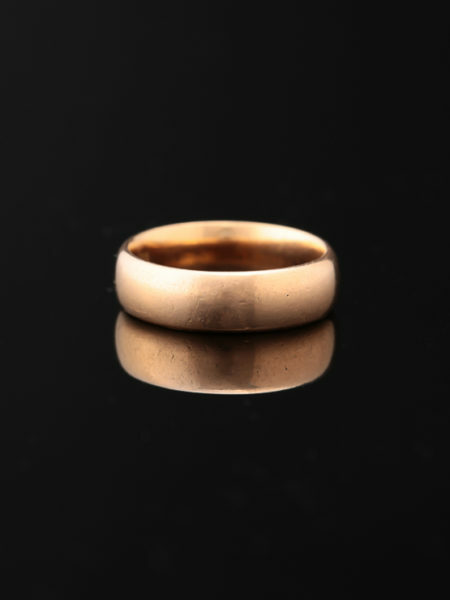 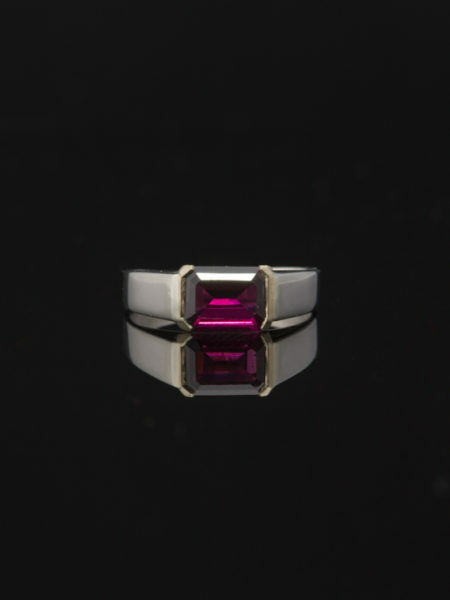 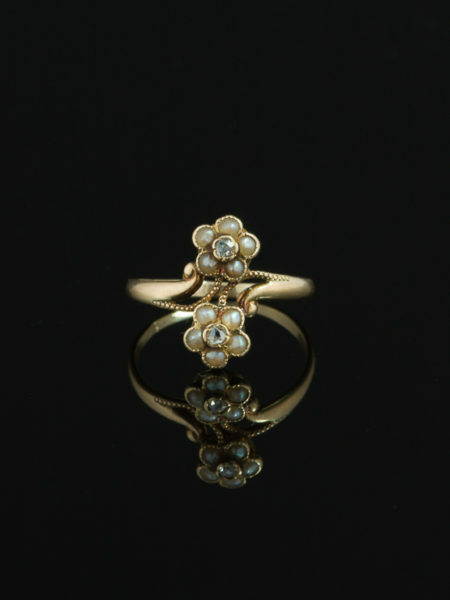 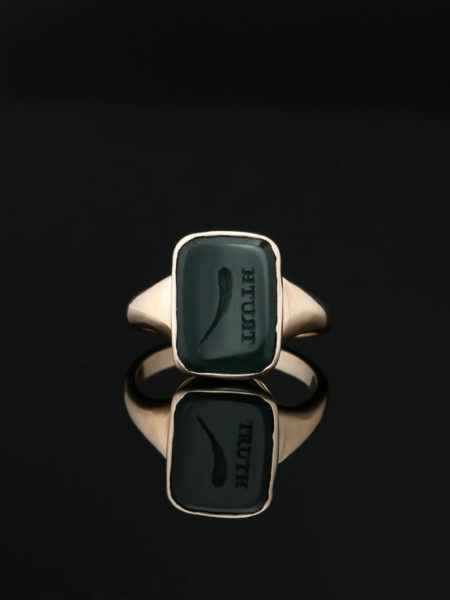 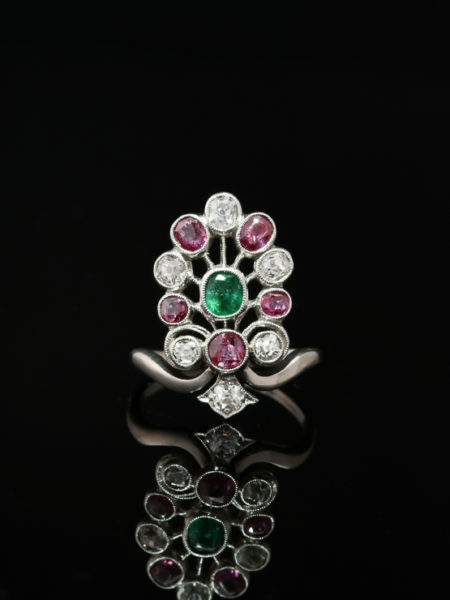 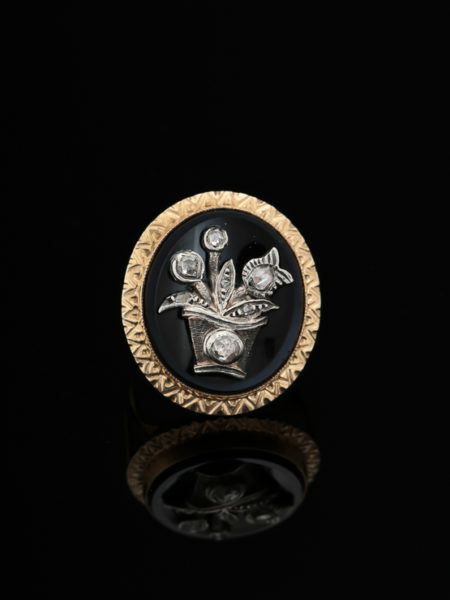 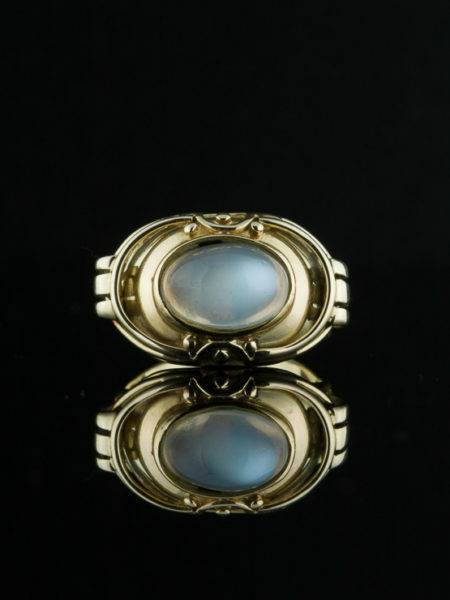 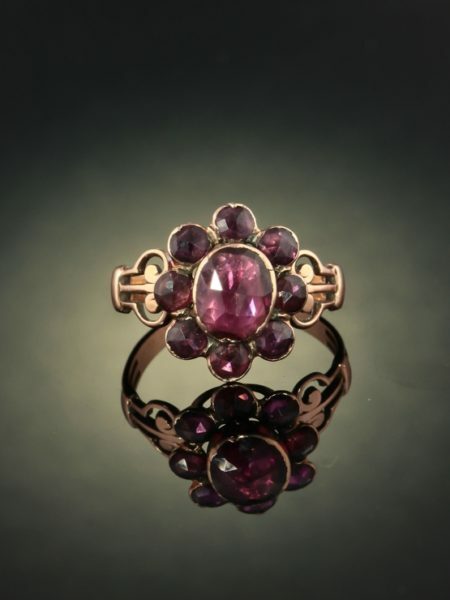 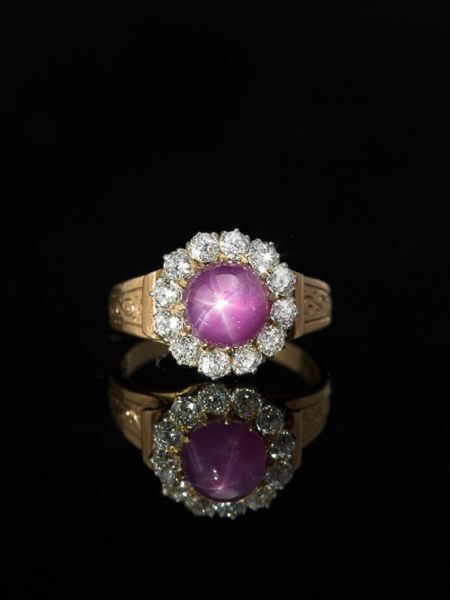 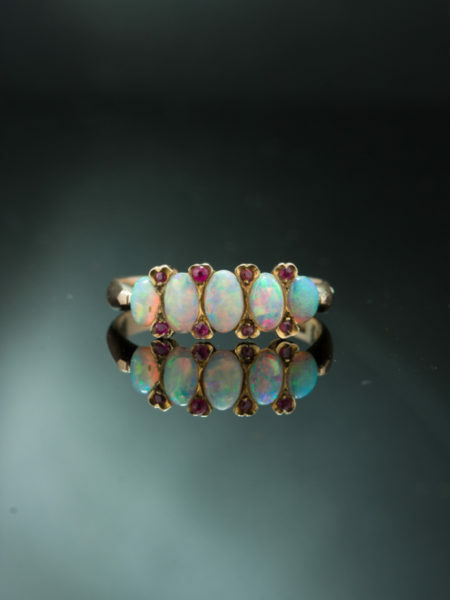 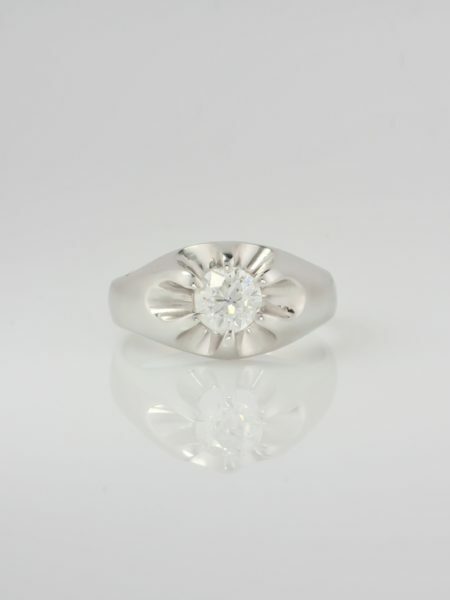 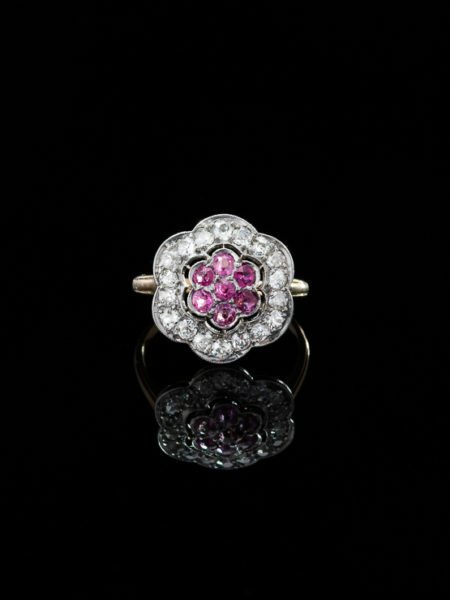 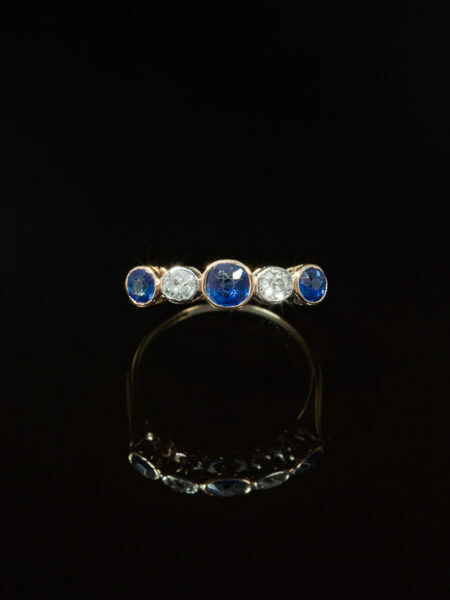 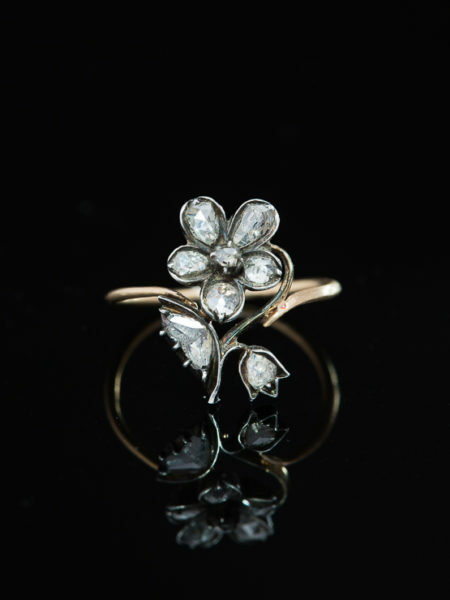 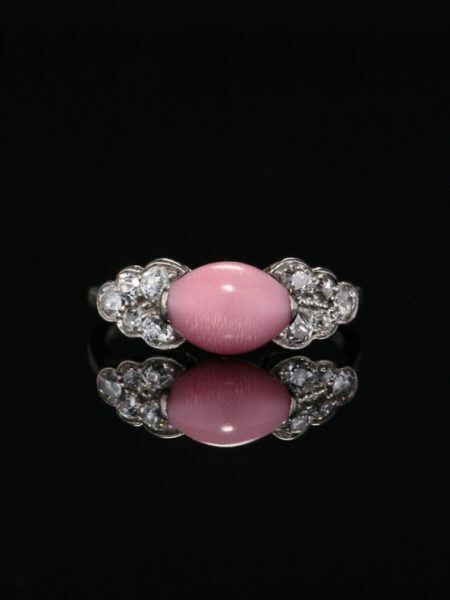 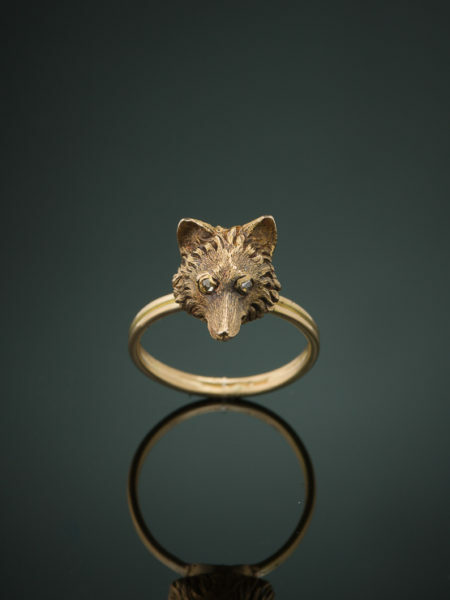 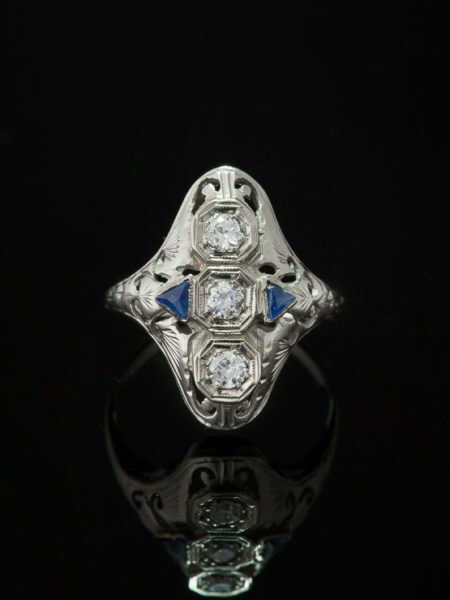 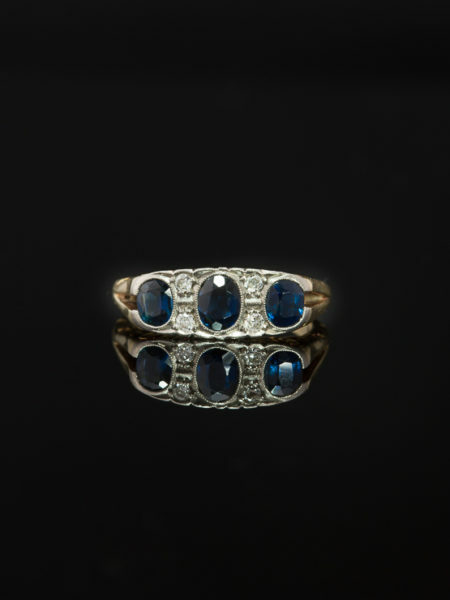 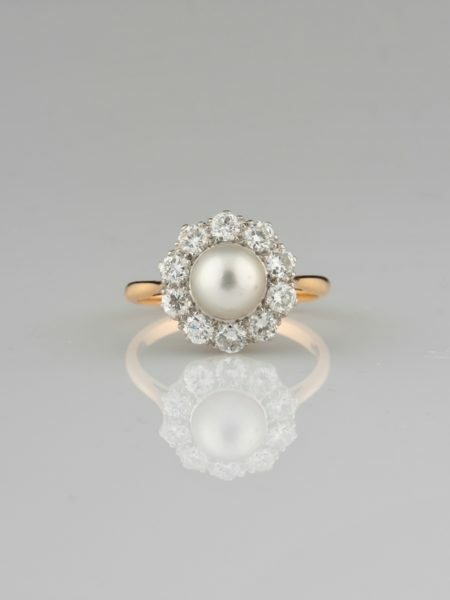 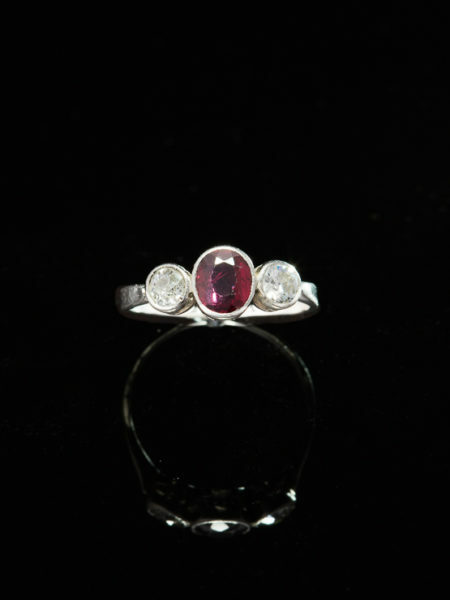 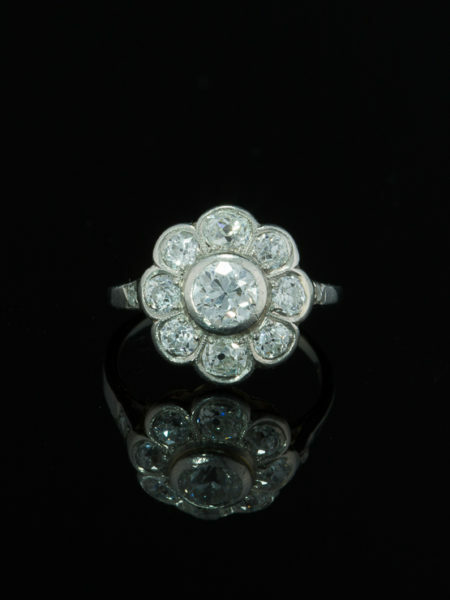 Artfully crafted in 18 Kt white gold and platinum in France during Art Deco era, marked. 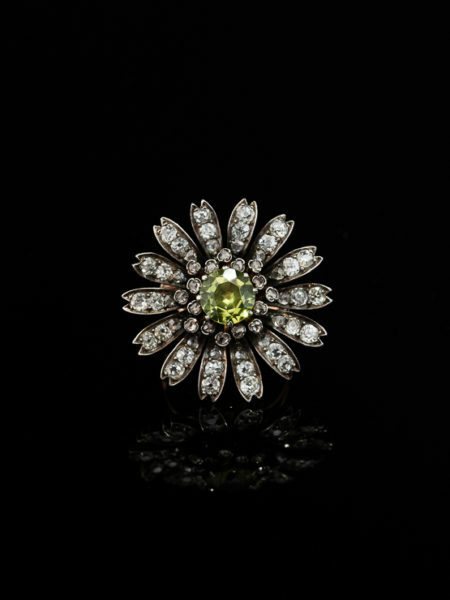 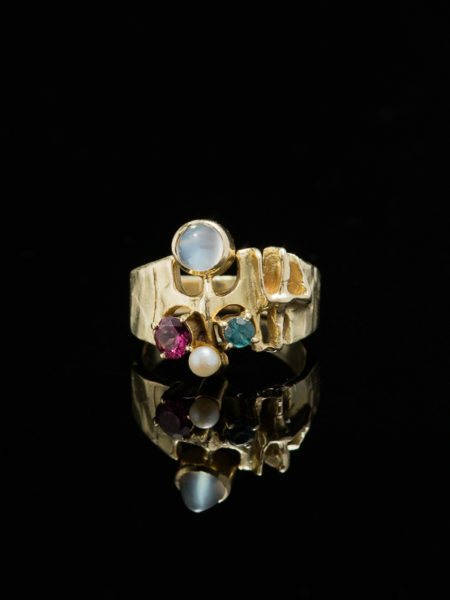 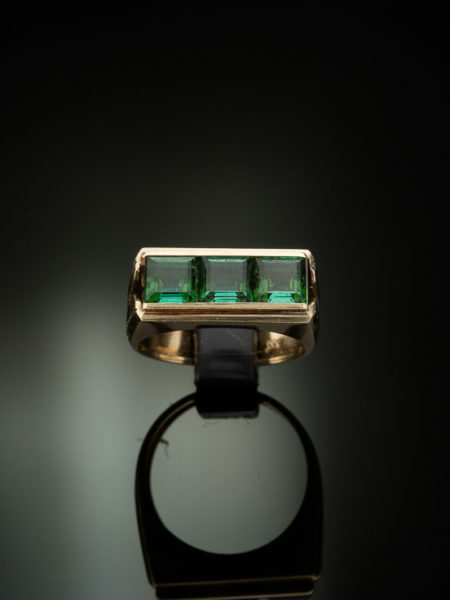 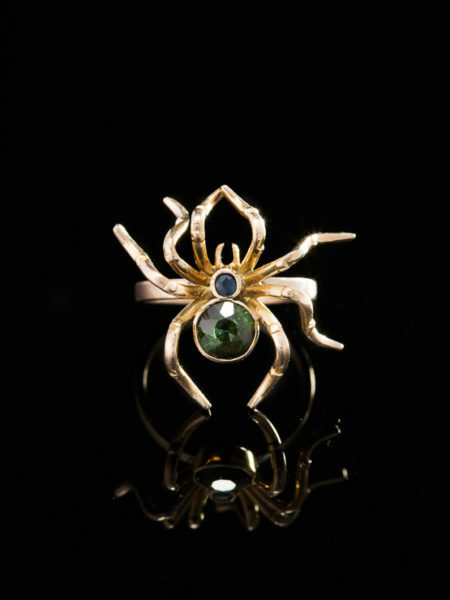 Slip on something that reveals to the eye and the beholder a petite masterwork of light and elegance.